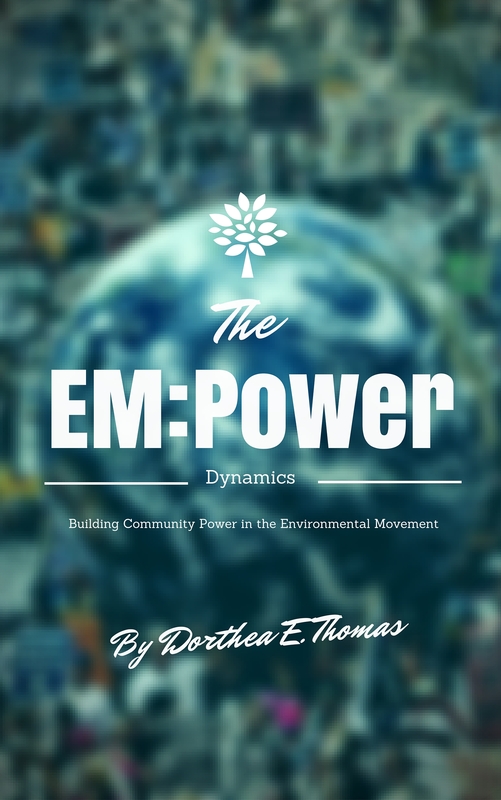 As a passionate Environmental and Human Rights Activist, Ms. Dorthea Thomas is a world renowned published writer, leadership coach and motivational speaker. She is an accomplished nonprofit professional, politico, and community engagement enthusiast offering an impressive 6-year background in community relations, volunteer/community engagement, with thorough progressive training in campaign management, communications, marketing and event planning. A strong proponent of leadership and personal development, she uses her communication and motivating strengths to empower others to reach their greatest potential in life. A five-time self-published author, including her most recent publication “The EM:Power Dynamics” Building Community Power in the Environment Movement by Minorities and Young People, which is set to be released later this year. She is also the founder of the Detroit Environmental and Climate Justice Alliance, a community group dedicated to the pursuit of social justice – when it comes to clean air, clean water, and a just transition to a green energy economy for all. In addition, she is also the CEO and Founder of The Minority Women in Leadership Commission, a nonprofit organization dedicated to mentoring and empowering young women to increase their leadership capabilities. Her former position before joining Sierra Club Michigan staff was at Michigan United as the first Environmental & Climate Justice Organizer, where she built up a core group of team leaders who engaged in creating strong environmental justice focused campaigns and narrative around a racial justice analysis, created petitions, lobby elected officials, and initiated sign-on letters. Also, she held the position of Midwest Recruitment & Logistics Lead, where she handled logistics for the Power Shift Midwest ’16 convening. In the past, she has worked as an Environmental and Climate Justice Leadership Fellow with the National Association for the Advancement of Colored People to help create the first Climate Justice initiative. As a Climate Justice Leadership Fellow at the New Organizing Institute for WE ACT for Environmental Justice, she worked to implement an environmental justice perspective in the Obama Climate Action Plan. Also, she worked as an AmeriCorps Green Schools Coordinator with Detroit Public Schools and Ecoworks. In that position, she helps develop communication strategies, energy efficiency projects on energy, resource management, and nutrition, and manage utility bills to help improve student achievement, lower district cost and improve the health of the district. In 2010, she became a Council on Legal Education Opportunity Scholar at Thomas Cooley Law School by completing a Sophomore Summer Institute in high honors. She graduated with a B.S. in Women and Gender Studies, Public Law and Government, and Criminology/ Criminal Justice at Eastern Michigan University. As a Human and Civil Rights Activist, she has served as the 1st Vice President NAACP Youth and College Division in Michigan and an Environmental and Climate Justice Youth Ambassador for the National Headquarters; in the past she also served as an Executive Committee member of the Sierra Club Michigan Chapter. Her community memberships and involvement exist in many local, regional, and national organizations: Sierra Club, RESTORE Northeast Detroit, NAACP Detroit Branch, National Association of Professional Women Greater Detroit Chapter, American Association of University Women, and the National Association of Women Lawyers Student Affiliate. WHAT HAPPENS WHEN SISTERS GO GREEN? Between both civil rights and feminist movements, women of color have always been the catalyst of change in our nation. Climate change has disproportionate impacts on communities of color and these issues are hitting women the hardest globally. Despite those who deny climate change, we’re already paying the costs right here in Michigan. In cities like Chicago, Milwaukee, and even here in Detroit, families are sharing their personal stories on how they are facing the difficulties of severe storms and outdated infrastructure. IF WATER IS A HUMAN RIGHT, WHY ARE 40% OF DETROIT RESIDENTS WITHOUT WATER? Everyone deserves access to clean air and water, right? We generally don’t consider the dangers of ignoring these human rights, until our own rights are violated and stripped away from us. WHERE I COME FROM SOCIAL JUSTICE ACTIVISM IS CONSIDERED A WAY OF SURVIVAL. Living in a city full of environmental hazards such as tar sands, illegal dumping, and coal-fired facilities that emit tons of pollutants in our air and water every year, I’ve become empowered by necessity to become the change I wish to see in Detroit. According to the EPA, environmental justice is the fair treatment and meaningful involvement of all people regardless of race, color, national origin, or income with respect to the development, implementation, and enforcement of environmental laws, regulations, and policies. On Monday, August 4, 2014 I hosted a Live Google Hangout event with Katrina Staves from Just Label It to talk about the importance of GMO Labeling, and Environmental’s Action recent campaign to help push the initiative forward. As I stood with other dedicated environmentalist and human rights activists, I felt the power and strength of our movement to ensure that the most basic resource to all life stays clean and in the hands of the public, not corporations. Our round-the-clock efforts, generated over 20,000 emails and signatures to Governor Snyder to ensure that one of our most precious resources is in the hands of the public and not corporations. Your activism, energy and drive made Michigan’s Governor recognize the universal right to water and the protection of our planet by opposing water privatization. WATER IS A PUBLIC TRUST AND HUMAN RIGHT! Water shutoffs by the Detroit Water and Sewerage Department (DWSD) have forced residents out of their homes to live with neighbors and family. Detroit’s water infrastructure needs adequate investment to help conserve and protect the environment, not the Emergency Manager’s cruel attempt to balance the system’s budget on the backs of the poor. Consumers purchase jewelry, trinkets and chess sets/pieces made from ivory taken from tusks. While the trade of ivory has been illegal since 1989, the growing demand for elephant ivory is exceeding the supply and making a mockery of the international ban. FIVE, SIX, SEVEN, EIGHT… STOP THE IVORY TRADE IT’S NOT TOO LATE! On World Animal Day, I stood alongside hundreds of passionate elephant activist at the White House for the march against extinction. As hundreds of us marched for miles, chanting, and passionately speaking out against the disheartening effects of the ivory blood trade that is literally driving elephants to brink extinction, I felt the momentum of our movement surrounding me. The pressure of thousands in the streets, dozens in the jails and millions on the Internet put the work that private corporations are doing to privatize our natural resources and Detroit’s struggle on the map. As a result, the water shutoffs have stopped and the corrupt plans to turn Detroit’s public water over to private corporations have been dismissed. We’ve teamed up with Food Water Watch Ohio and the Humane Society of the United States to offer some common-sense strategies to clean up lake Erie by addressing the manure and fertilizer that cause toxic algae blooms. When it comes to environmental justice, it’s about ensuring low-income, communities of color have equal access to clean air, water, and land. Environmentalism, sustainable development, and labor are apart of the solutions to make the possibility of a better future for generations to come to a reality. Working in the Nation’s capital has given me the opportunity to make the change that will help improve the lives of low-income, communities of color all over the nation. With just one full-time staffer, goals seem impossible at times, but this challenge has inspired me to be more strategic in my work and push myself harder to complete the mission I feel connected to. East Michigan Environmental Action Council (EMEAC) and the Climate Justice Alliance (CJA) gathered over 80 folks for a historic gathering to assemble and train fellow black organizers all over the country towards environmental justice and liberation!